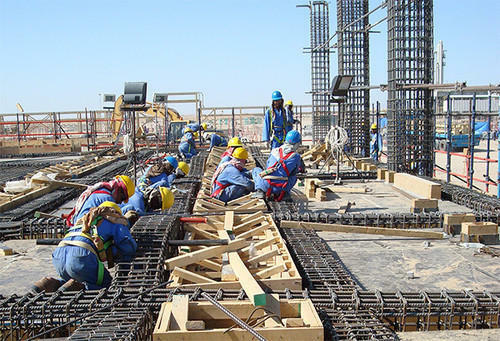 We are a well-known company, engaged in rendering Civil Construction Services to our esteemed customers. These services are handled by our experts who have prosperous industry acquaintance and skill.Before providing the best solutions to our clients, our experts examine all the related aspects in the best effective manner. Incorporated in the year 2009, Ranjana Enterprises is a Mumbai situated firm submerged in the premium manufacture of wooden furniture. The ventures in which we have inundated ourselves include Wooden Staircase, Wooden Sofa Sets, Wooden Wardrobe, Modular Kitchen, Wooden Temple, Wooden Ceiling, Wooden Partition, Wooden Doors, Wooden Cabinet, Wooden Bed, Wooden Table, Safety Door Grill, Wooden Racks, Wooden Bookshelves, Wooden Flooring and Wooden Chair. Stringent quality checks are being performed on the offered product gamut in line to the set constraints and multiple parameters which have been established so far. Moreover our team of deft professionals ensures over the durability and longer shelf life of these products thus working over a win-win strategy with our patrons from across the country.